The Football Association has hit Leeds United captain Liam Cooper with a four-match ban for his red card in Saturday’s 4-3 defeat to Millwall. Samuel Saiz is sent off at Newport County. The centre-back’s punishment was confirmed yesterday after Leeds opted against appealing his first-half dismissal at Elland Road. Cooper was shown a straight red card for a foul on Millwall midfielder George Saville, a tackle which sparked a scuffle between the two benches. United assistant Julio Banuelos and Millwall number two David Livermore could both face punishment from the FA after being sent to the stands in the aftermath of the foul. Cooper’s red card for serious foul play carried a standard three-match ban but the dismissal was his second of the season, incurring an extra game. Eunan O'Kane is sent off at Ipswich Town. 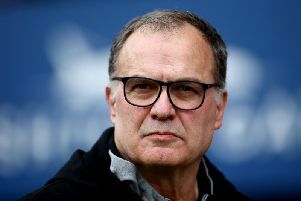 The defender, who travelled with Leeds to their Spanish training camp in Murcia yesterday, will be unavailable until Leeds play Derby County at Pride Park on February 20, the night Samuel Saiz is scheduled to return from a six-match ban for spitting. Leeds’ disciplinary issues have left the club without four suspended players for next Tuesday’s Championship trip to Hull City after Kalvin Phillips’ 10th yellow card of the season earned him a two-game ban. Eunan O’Kane is already missing for three matches following his red card for headbutting Jonas Knudsen in Leeds’ recent defeat to Ipswich Town. Speaking to LUTV over the weekend, O’Kane apologised for the first dismissal of his career, saying: “I’m disgusted with myself. “My actions were very bad. I don’t condone that in any way, shape or form. Jay-Roy Grot gave his confidence a boost by scoring the winning goal as Leeds United’s Under-23s beat Huddersfield Town 1-0 at Elland Road last night. Grot, who was making his first appearance for the development squad after a struggle to impress at first-team level this season, claimed his first Leeds goal with a low shot from 18 yards in the second half.